sensemetrics continues to expand support for Geokon’s portfolio of devices, including new releases! We’re pleased to announce plug & play support for Geokon’s newly announced digital Thermistor String, the model 3810A. Read more about it here. 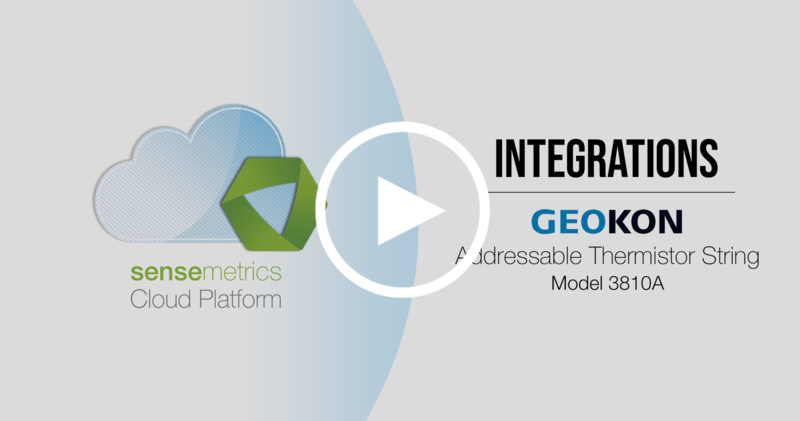 Watch the video tutorial below to preview how easy it is to connect Geokon’s new Thermistor String to sensemetrics’ cloud platform, and access real-time condition monitoring within minutes.